For the first time, an ambulance carrying a mobile CT scanner and two consultants will rush to patients and treat them on the spot. If successful it is hoped the scheme will lead to a national network of units. The aim is to administer clot-busting drugs within the “golden hour” of a stroke being reported to 999 operators and so reduce the risk of death or serious disability, which increases dramatically without rapid treatment. Professor Iris Grunwald, of Southend Hospital, Essex, pioneered a similar scheme while working in Germany and has now brought the mobile stroke unit to the UK. Moments after the ambulance arrives, a patient’s head can be placed in a scanner. Seconds later it gives readings of any clot in the brain, and drugs can then be delivered. In a trial published in the lancet, Prof Grunwald showed that 60 per cent of German patients treated by a mobile stroke unit were aided within an hour compared to just four per cent taken to hospital. Speed of treatment for patients, by giving them injections of clot-busting drugs, is variable in the UK. This is often caused by delays in getting them to hospital by ambulance, delays in scanning to identify a clot at a non-specialist centre and then in the decision to treat. 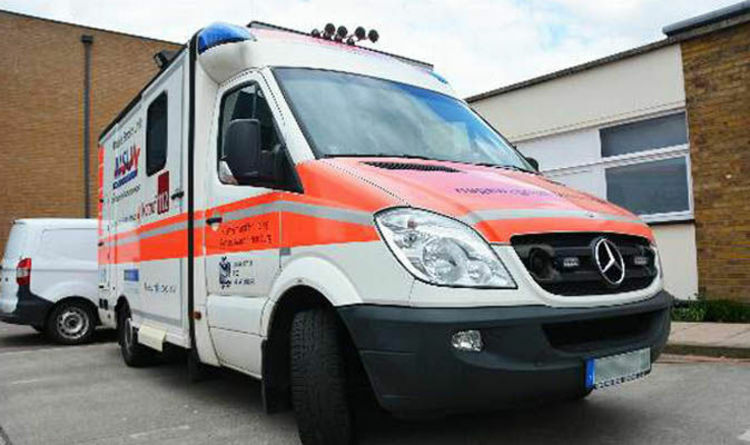 Prof Grunwald, who also works at Anglia Ruskin University in Cambridge, has been given a mobile stroke unit ambulance from Germany for the three-month study, which is set to start at the end of the month. She said: “if you are lucky to live in a major city then you may well get very rapid care but our logic is to cut out the hospital and take the CT scanner to the patient. “Once we have scanned them and carried out a blood test, and established a patient has a blocked artery, we can give the drug. The mobile unit will be linked to Southend Hospital, so images can be transmitted back for a second opinion. Its main aim is to treat the blood clot type of stroke but even if a patient has one caused by a burst blood vessel, they can administer drugs to reduce damage and the risk of death before arrival at hospital. Prof Grunwald added: “We think we will be able to replicate in Essex the results we achieved in Germany and results from mobile units in other countries. Sheree Whitfield Reportedly FIRED From “Real Housewives of Atlanta” (Again! ); Kenya Moore Safe (For Now) Terminator 6 DELAYED: Pushed back due to Arnold Schwarzenegger’s heart surgery?